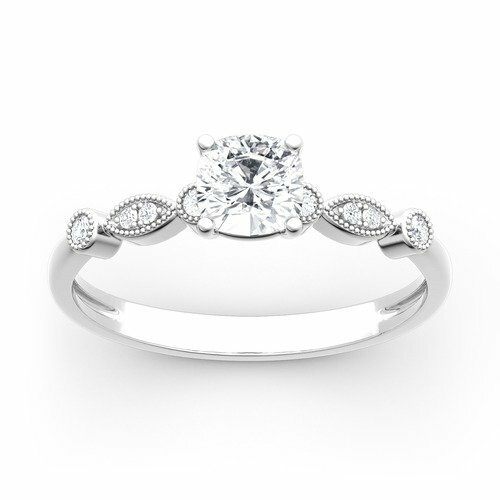 Simple and classic, this engagement ring is the best choice for fans of classic style. Crafted in sterling silver, this impressive design highlights an 10mm cushion-cut center stone in a lovely floral-inspired mount touched by sparkling accents stones. Petite accent stones line the ring's slender shank, creating a look beyond all compare. Buffed to a brilliant luster, this engagement ring is destined to delight. Give her a surprise with this masterpiece!